Doubts Rise Over Virus As Cause Of Chronic Fatigue Syndrome : Shots - Health News New research findings suggest that a mouse virus thought by some to cause chronic fatigue syndrome is instead a laboratory contaminant. The results led a leading scientific journal to ask for a retraction of an earlier paper proposing the viral link. Two new studies may not be the final nails in the coffin of the hypothesis that a mouse retrovirus called XMRV causes chronic fatigue syndrome. But the hammering is certainly getting louder. The latest studies, using very different approaches, present new evidence that XMRV was inadvertently created in a laboratory five years ago, and then found its way as a contaminant into a series of experiments. As a result, some scientists, the skeptics say, were fooled into thinking they had discovered an exotic new virus that often seemed to show up in the blood of patients suffering from chronic fatigue. The new studies "essentially close the door on XMRV as a cause of human disease," says John Coffin of Tufts University, an expert on retroviruses and coauthor of one of the new papers. No fewer than 11 studies have now failed to support the 2009 claim that XMRV is a probable cause of CFS. But Judy Mikovits of the Whittemore Peterson Institute in Nevada, the leading proponent of XMRV as the cause of chronic fatigue, insists the issue isn't settled. Mikovits has refused to withdraw her 2009 paper at the request of the editors of Science, which published it, saying that would be premature in light of a planned National Institutes of Health study on XMRV. So the journal has published an "expression of concern" cautioning scientists that the initial paper is under a cloud. Meanwhile, the hypothesis has had real-world consequences. Because of the fear that a new virus might be circulating, people with a history of chronic fatigue have been barred from giving blood in the United States, Canada and other countries. The U.S. government has embarked on an effort to determine if XMRV is a threat to the safety of the blood supply. And some doctors have reportedly begun prescribing antiretroviral drugs to CFS patients in the hope that will cure the debilitating ailment, which is thought to affect at least a million Americans. The new papers, published online by Science, undermine the XMRV claim in various ways. A team led by scientists at the National Cancer Institute did some detective work on how XMRV arose in the first place. That happened back in 1996, when researchers injected cells from human prostate cancer tumors into mice – a common way of growing more cells for study. When those researchers discovered a virus in human prostate tumors, they thought it had come from the cancer cells. But now, NCI-led researchers report that XMRV was not in the original cancer cells. It popped up when two proto-viruses that were present in the laboratory mice genetically combined to create XMRV, infecting the human cancer cells. The chance that this genetic event could have occurred independently – outside the lab mice — is about one in a trillion, the NCI scientists say. So how did XMRV get into other studies, years later, involving blood samples from chronic fatigue patients? That's not entirely clear, but the NCI researchers and others at the University of California, San Francisco are convinced it was by contamination — either of laboratory equipment or of reagents, chemicals used to detect the presence of the virus. The UCSF scientists found mouse DNA similar to those in XMRV in some of the reagents they tested. But they think most likely the laboratory itself was contaminated with the virus. Most important, the UCSF researchers obtained fresh blood samples from 61 chronic fatigue patients who had been treated by Nevada chronic fatigue specialist Dan Peterson — the same patients studied in the 2009 paper that found a strong association between the virus and the disease. Forty-three of the 61 patients had previously tested positive for XMRV. But when the UCSF group retested them, looking for the virus, pieces of the virus or antibodies to the virus — the results were all negative. 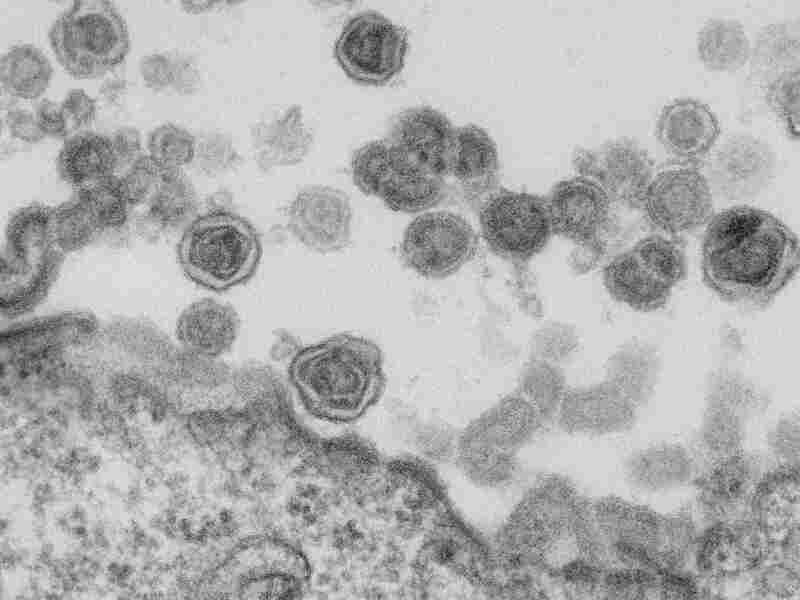 Moreover, the UCSF group found that XMRV and similar viruses "are fully or partially inactivated" by humans' immune systems, "suggesting that these viruses could not readily establish a human infection." The San Francisco researchers left the door open to the possibility that a virus or other infectious agent could lie behind chronic fatigue, since some studies have found CFS patients have activated immune systems. In fact, last August scientists at the NIH, the FDA and Harvard detected another virus, PMLV, in the blood of patients with chronic fatigue. But it's not clear where that claim now stands, since the new NCI paper found no evidence of the virus type that PMLV belongs to. The new papers are a disappointment to the sizable community of chronic fatigue sufferers, who were ecstatic over the possibility that scientists seemed to have discovered a cause for their mysterious malady. That engendered hope that treatments might follow. The CFIDS Association has issued a statement about the new studies that has a resigned tone. "The results of NIH-supported research into XMRV will provide answers about whether XMRV is a route to better care," the association says. "We will support the outcome of those studies, whichever way they lead."